The North East Regional Employers' Organisation (NEREO) serves and represents the 12 local authorities and four Fire and Rescue Services in the North East region in the broad fields of human resource management, management practice, learning and development and employee relations. In addition to our role supporting authorities, around 80 other voluntary bodies and public organisations engaged in the delivery of local services benefit from the wide-ranging services NEREO provides via membership of our Advisory Service. 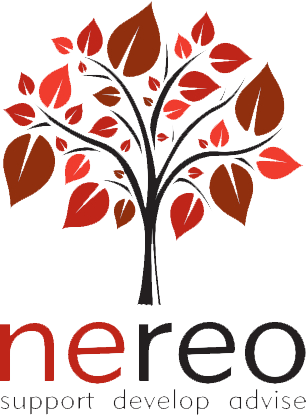 NEREO is a small but dynamic organisation at the forefront of change and development in the region. The north east region covers the geographical areas of Northumberland, Tyne & Wear, Durham and Tees Valley. · To provide information, advice and direct support to member authorities on human resource and general management issues. · To identify and promote best practice in employee relations, management practice and learning and development. · To support the exchange of information and best practice between member authorities by co-ordinating and administering a range of management networks that reflect human resource and management issues of concern and relevance to those authorities. · To identify and develop opportunities for joint working with other agencies representing Local Government in the North East and nationally. · To provide the Employers’ Side to the North East Provincial Council.